Nairobi, September 21st 2018: Over 13,000 essays were received from students from across the country for this year’s Digital Essay Competition (DEC) representing a 146.3% increase from 5,305 submissions in 2017. The annual Competition is implemented by eKitabu, a company that delivers accessible digital content for inclusive and quality education and seeks to advance education through the use of technology with teachers and students in all public and private schools across Kenya. This year, students were answering the question: “How can technology bring us closer to quality education for all Or Ni vipi teknolojia inaweza kutufikisha karibu na elimu bora kwa wote – and participating students came from 358 schools in 44 out of Kenya’s 47 counties. ‘‘The 146.3% increase in submissions comes from collaboration with teachers and partners. 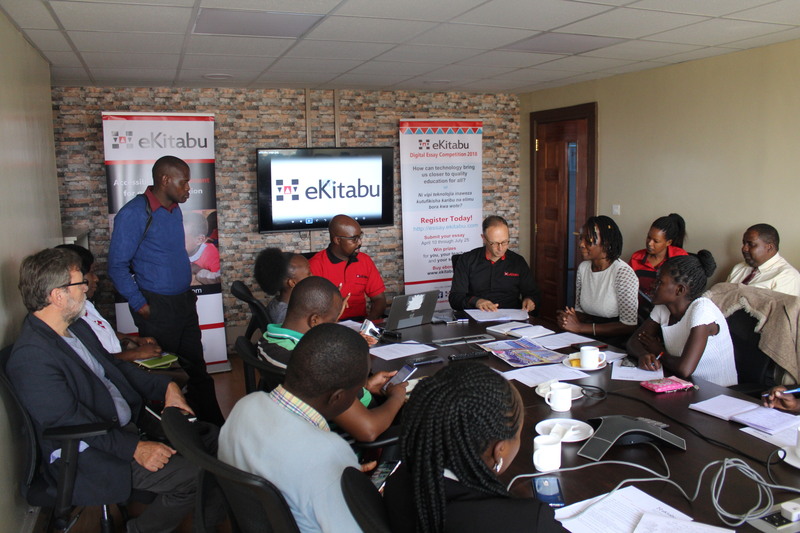 In essays this year, we see students from mainstream and special needs schools envisioning how they can use ICT to help reach the goal of inclusive and quality education for all,’’ noted Will Clurman, CEO & Co-founder, eKitabu. The Competition was open to all public and private, mainstream and special needs schools in Kenya from 10th April to 3rd August and received a total of 13,064 essays, which were submitted in English, Kiswahili, French, German and Art categories for both upper primary and secondary levels. The judging panel was comprised of competent teachers with wide experience in marking language subjects in primary and secondary examinations and distinguished leaders from Kenya’s publishing industry and leaders from the public and private sectors including Kenya Institute of Curriculum Education (KICD) and University of Nairobi – who selected finalists and winners of all the categories. The winners will be announced at Nairobi International Book Fair on Wednesday, September 26th and will receive both cash awards (scholarship) and computing devices. A set of prizes – 1st through 6th places – will be awarded for Primary and Secondary Schools in English, Kiswahili, French and Art categories.